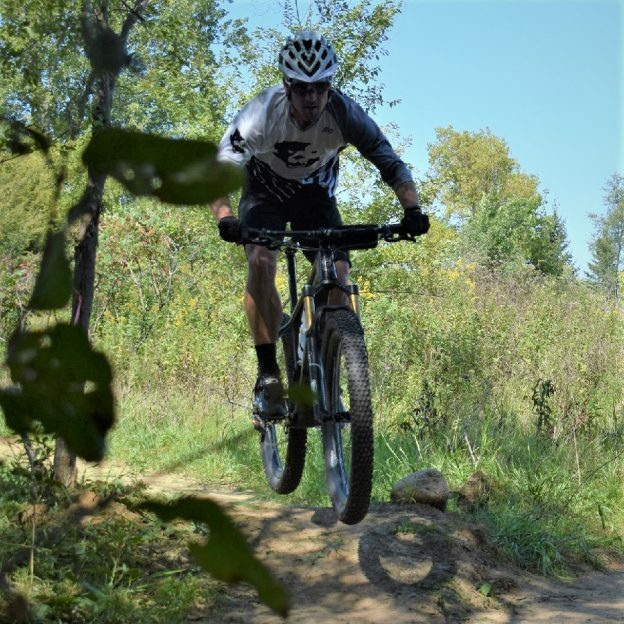 Into the shadows, this wheelie Wednesday, we want to mention one of the newest mountain bike parks in the Twin Cities, West Lake Marion Mountain Bike Park in Lakeville MN. It’s a sweet ride! This entry was posted in Picture of the Day and tagged bicycle lifestyle, Lakeville Cycling Association, Lakeville MN, Minnesota fat biking, Minnesota Mountain Bike Trails, Minnesota Off-Road Cyclists, Minnesota trails, MORC, mountain bike fun, Mountain Biking, picture of the day, West Lake Marion Mountain Bike Trail on June 6, 2018 by Russ Lowthian.